Aiken Wines is the brainchild of renowned Napa Valley winemaker Joel Aiken. His evolving portfolio of site-specific Cabernet Sauvignons and Pinot Noirs from Napa and Sonoma regions create wines of character and excellence. With inspiration from the vineyards and a passion for winemaking, Joel needed a platform to showcase his talents, wines, and generate sales. Without a website, Aiken Wines could not rank in the highly competitive market of Napa Valley wineries. The goal was to create a website that integrated Aiken Wines’ Vinespring store so customers would have an easy way to purchase wines. The site needed a unique look to stand out from the hundreds of competitors and required both modern and classic elements to highlight the vintage selection fo Aiken Wines. 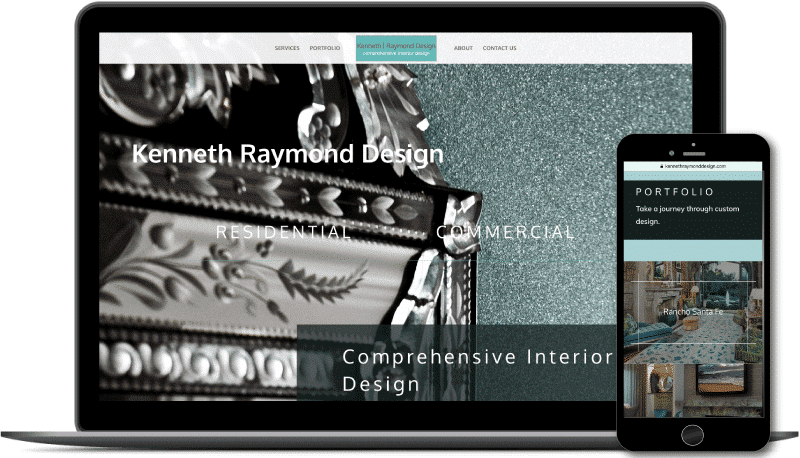 A website built on a user-friendly interface with distinct design and eye-catching elements was created. A portfolio function was included to showcase the wines and to act as a store for users to purchase wines. Each portfolio item is a product that users can click into to learn about the wine. Vinespring is integrated here through a “buy” or “shop” button that takes the user to the product page where the purchase can occur. This integration allows users to stay on the website as the Aiken Wines menu options remain on the Vinespring page. Other pages include a vineyards page with information on the land that produces these distinct wines. Users can read about the winemaker, join the wine club, and subscribe to Aiken Wines’ newsletter. The main page begins with a full screen header, combining a parallax effect with the Aiken Wines logo. A vertical navigation is implemented to recreate a vintage feel for the brand. The vertical navigation also allows users to be more engaged with each page. The homepage features important information related to shopping for wines, subscribing to the newsletter, and becoming a wine club member. A slider of reviews is feature don most pages at the bottom. A “shop” button allows users to go straight into Vinespring, generating sales. The tasting room page guides users to an informative and vivid page about the downtown Napa tasting room featuring Aiken Wines. Users will find the location, pictures and details of the room. The slider of reviews is featured at the bottom of the page. A filterable portfolio page acts as the main product display page. Users can browse all wines offered, filter by varietals, and connect with Vinespring to purchase. From the “Wines” portfolio page, users can click into a product and learn about the wine. The product page then allows buyers to purchase through Vinespring by hitting “Purchase Now” and enter the Vinespring product page.